Announce Pin Name Badge 54x90mm (Pack of 50) PV00920 – PV00920 – OfficeYoo! 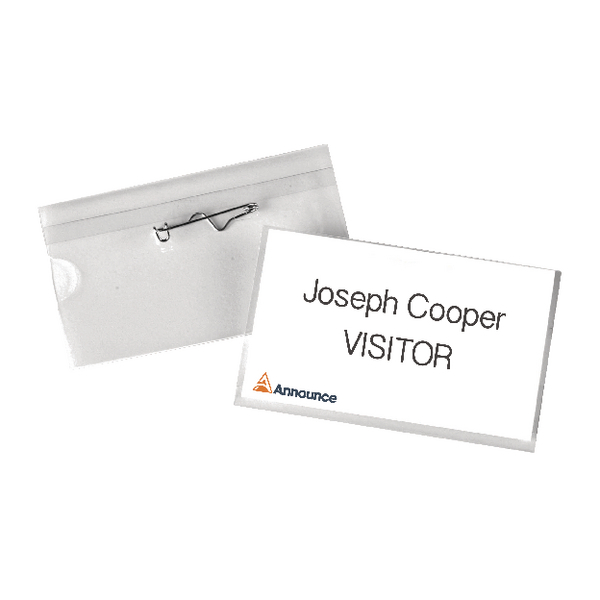 Simple yet effective, these transparent Announce Pin Name Badges have a pin attachment for easy attachment to clothing. Presented in landscape format, the badges are side loading and are supplied with their own insert cards. Each pin badge measures 54x90mm and this pack contains 50 badges.